Master Artisans in Florence and on the hills. 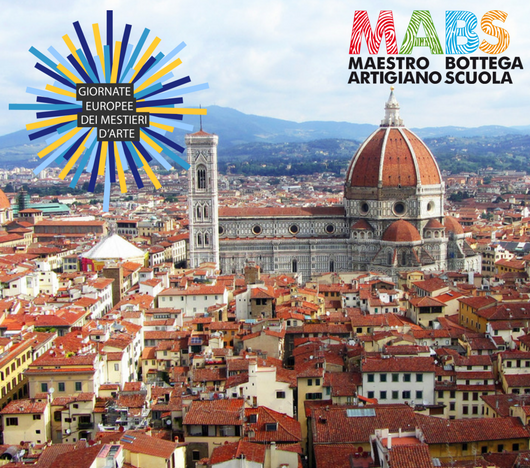 The second itinerary of the European Artistic Crafts Days, the event organized around Europe and celebrating the Artistic and Artisanal Crafts on March 31, April 1 and 2, is devoted to the Master Artisans in Florence and surroundings. We start in Florence and we will then move on to the Florentine hills. We start on Via Marconi where we find the SARTORIA MAFFEI OMBRETTA: her life has been devoted to the creation and realization of tailored models. A passion cultivated since adolescence and a will that lead to opening her taylor shop in 1978, where she makes clothing for every occasion, interpreting the taste and the need of each client, suggesting styles, fabrics, colors and the right tones to create elegant dresses, formal, romantic but also sporty, always using prestigious and high fashion fabrics of natural fibers, never overlooking the details, according to the traditional tailoring techniques. where we find the INCUNABOLO, a workshop for the restoration of ancient books and the artistic bookbindig. still today Alessandro and Elisabetta, driven by the same passion as their father and by a restless spirit of research, create scagliola artifacts of modern and traditional inspiration using entirely manual techniques. All the phases of workmanship are performed with great care, from the creation of the preparatory designs to the final polishing. The production consists of table-tops, panels, pictures, frames, and various decor elements and accessories. Their technique, experience and creative capacities, their skill in design, the sophisticated elegance of the decorations and the harmonious choice of colours make the Bianchi’s scagliola work truly unique, worthy illustrations of an art that has been perpetuated down to, our own times. The workshop also deals with restoration and collaborates with museums, collectors, antiquarians and the fine art commissions. STUDIO CERAMICO GIUSTI, where we find Master Artisans Sandra Pelli and Stefano Giusti and their wonderful creations of artistic ceramics. The production is focused particularly on objects of everyday use, where the values of tradition are perfectly blended with a contemporary language. Along with creating objects, they also teach lessons, both at their own studio and at private and public establishments in the area.